I've been chasing my tail as normal at the moment! It's been great fun creating all sorts of goodies! Here's one of the little cards I've done! 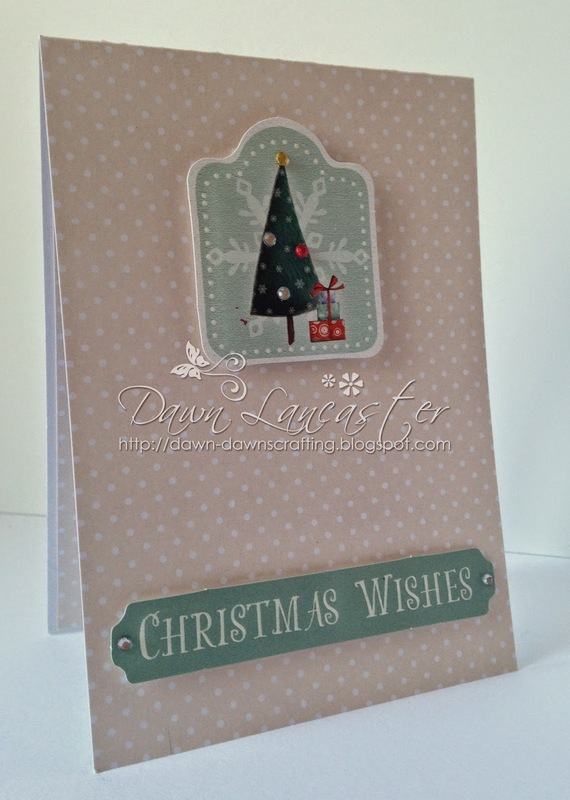 A little dottie CAS Christmas card. The topper & setiment are both by Papermania. I've mounted them on some foam tape for added dimension. the sides of the sentiment. Cute isn't it! Thanks for stopping by, if I haven't visited you lately, I'm srry! Just let me know in the comments & I'll get to you soon! Have a grea evening & a lovely Friday! 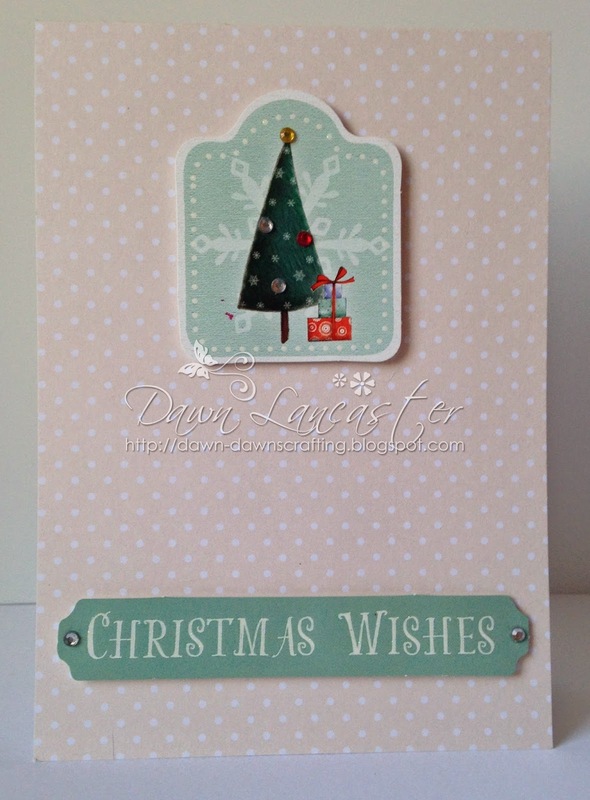 This is a fabulous little Christmas card Dawn, perfect for your craft fair, I hope it goes well and you manage to raise lots of funds.